Our film will be soon available to kick off or celebrate a butterfly installation or to be shown as a stand-alone event used for educational and memorial purposes. If you are interested in showing our film, NOT The Last Butterfly​, and The Butterfly Project to your classroom, school, or community, please send us an email through the contact form below. ​Contact us now to bring this film to your classroom, school, or community. 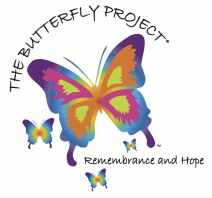 If you would like to purchase butterfly kits for your event, please click the button below.